Are you tired of playing the same old careers and majors looking for something new or expand your horizons? Well here is the place where you will find those new Careers and Majors :D! This career should be EP compatible, and will not overwrite any custom or Maxis careers because it has it's own GUID. There are 9 chance cards completed in this career. You are a powerful Prayer Warrior. You spend hours at the church in your prayer closet pouring your heart out to The Allmighty. Be sure to keep up your logic skills! You are now an intern for your local church. It's your job to help the pastor by running errands for him. You are his gopher, so to speak. You are prison chaplain. This means you will be ministring to the inmates in the local prison. Be on your gaurd! These prisoners are mean ones! It's your job to go to the local hospital and pray over and read scriptures to people who are very sick. Also you must hold church services at the hospital for vistors and loved ones of the ill.
You are a missionary. This means you will be travelling the globe ministering the gospel to those who have not heard. You are an evangelist. This means, you are back in your home country. You will be going around the nation in various churches and preaching the gospel. Be sure to increase your logic skills! You are a youth minister. It's your job to preach to the teens and young adults on Wendsday night. The scipture "Let no man despise your youth" comes to mind. You are a reverand, this means you have your own church now. You minister every Sunday morning, Sunday night, and Wedsday night. You also visit the church on other days for devotions and Bible studies. You are a General Overseer. This means that you are in charge of every church in your denomonation. You must be very close to the Lord, now more than ever.You've come a long way. Praise the Lord, you are able to reach even more souls for His kingdom. This career is for Adults. Seen above is the custom icon created by me (transparent background - new thing I learned how to do). This is something that was lost for so long, and I really hate that all my work was lost, but I decided to go ahead and re-make it. This career is more focused on being a host than with jobs other than hosting a show or program. There are 5 chance cards completed. Here's a run-down of career levels. It's your job to call numbers at the local bingo hall. The patrons of the bingo hall are mainly elderly sims looking to just have a good time and possibly win some extra money. You must have a clear, loud voice as well as keep an eye out for possible cheaters who you can report to security. Even the sweetest looking old lady can be a scam artist. The brainbuster, the missing serial numbers in the plasma screen TV, the clues to the scavenger hunt to find a priceless diamond ring lost in the middle of Downtown Veronaville. Those are some of the games that you will be hosting on the radio show. Have fun with this job! You've moved a bit up the ladder as a slot tournament MC in Atlantic City. It's your job to make announcements about when a jackpot is hit, announce the times for intermission, announce when any entertainment will be performing, but most importantly make sure that the players have fun. You have done so well MCing at the casino at Atlantic City that the casino has a job for you now on their local game show network. You have developed quite a bit of public speaking skills so far in your career which will advance you to the next level. Keep going my friend! 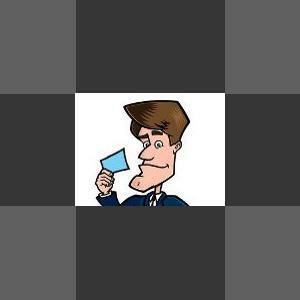 You certainly have gained quite a following and quite a bit of experience so far that now you are gearing up as the host of your own national radio game show. This is not some mom and pop operation that you remember from the days of the local radio show. This is the big leagues. You are hosting a local television game show, but this just happens to be the largest city in all of Sim Nation: New Sim City. No pressure, no pressure at all, only a large studio audience, caked on makeup under blaring lights, scrupulous time limits, and not to mention the least amount of pressure - a viewing audience of nearly 2 million sims. You are almost on your way to the very top. This isn't quite what you hoped for when they asked you to be a national game show host because of the time slot which is 3 am. Your target audience is geriatric vampires, so be sure to throw in some product placement for blood-flavored denture grip. You became host of Schpiel or no Schpiel not realizing how huge of a success it would actually be. There are now different versions of this show currently running in every nation in the entire world. Your job entails a lot of traveling not just looking good on camera day in and day out. You might not be meeting up with the Pope anytime soon, but at the rate you're going he may know your name! you are now CEO of GSC aka Game Show Channel. This is a huge responsibility. You have to be in charge of so much when running a corporation as large as this. Of course this means tons of cashflow, but hey you honestly deserve it! You have worked so hard to progress to this point of your career. Well done! This is a life of ease. You make rare appearances on national talk shows, and fun documentaries about game shows and receive a huge check each time you go to one. All of your hard, tedious work really has paid off at this point. Now is the time to rest, relax, and rejuvenate. Enjoy your life because this is the best time of your life. It kind of bugged me that Adult sims could never continue their education the way the game has it set up, you have to be a Young Adult in order to go to University. Well with this career you can have your adult sims experience all the fun of University as well! Also if you don't have University, you can send your adult sims to college this way. So it's win/win. This career has 8 chance cards completed, and it has it's own GUID so it won't overwrite any Maxis or custom careers. The custom icon was extracted from The Sims 2 University icons and made into a proper career icon by me with transparent backgrounds. This is sort of a departure from me from my other kinds of careers I make. For one this is my first career set, for another these careers have no chance cards, also I'm trying something new, it seems that none of my careers were base game compatible, when I went through the steps to make things base game compatible in simPE, it didn't work in my game, perhaps because careers are different. So I've included files for people with only the Base Game. The files for people with only the base game, are considered in testing. I have no way to test for base game compatibility, since the AGS does not work with games downloaded, and I purchased my base game (actually double deluxe) from the EA store (Direct Download). I might however want to purchase the Base Game on disc at some time, so I will be able to make sure things are base game compatible. If you have an EP, you should download the EP version of the careers, if you have base game only, you should download the Base Game Version of the careers. This is something that I'm very proud of! because it basically shows what I do in my everyday life. This career is EP compatible and it will not overwrite any Maxis or custom made careers becuase it has it's own GUID. You are a bodyshop newbie. 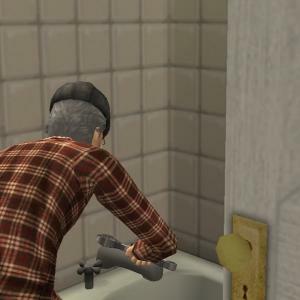 You bought the sims 2 base game for the first time, and were just playing until you found out about bodyshop. Who knew you could make your own clothes and hair, and it comes with the game! 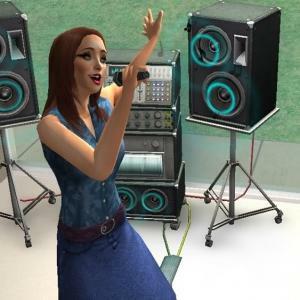 You just found out that when editing the sims 2, you can actually go online and share your creations for all the world to see! As a bodyshop modder, you now know how to make clothing conversions for age groups, gender conversions for toddlers and children, and how to edit the lens color of glasses. You are learning something new every day. Vertices, polygons, and SimPE oh my! Lots are something that are entirely objective. One man's trash is another man's treasue, and beauty is in the eye of the beholder when it comes to lots. However, you have learned the secret to supreme lot building. Most of the lots you upload are now featured on your favorite sims 2 upload site. Youv'e learned how to do something completley new and different. You have learned how to create a CAS screen. Your experience with lot building really shines through. The life of a career and major creator entails typing. Lots of endless, endless typing! You need to use your creative writing skills in this job! You have decided to branch out and try something new. Game mods. You learn through pure trial and error and asking plenty of questions in the SimPE forum. Description:You now know your way around custom BCONs, BHAVs, OBJDs, and everything else. 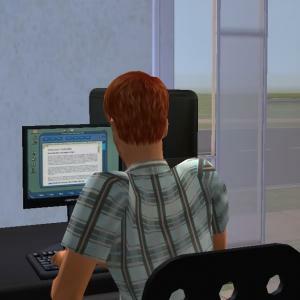 You are capable of writing your own tutorials for modding the sims 2. You now have your own sims 2 site. You are in total control of how it runs, and what is allowed. You have staff members under you making all of the important descisons. You work with the staff of your sims site to improve communtiy downloads for everyone. Above is the custom icon created by me. There are 3 chance cards completed with this career.This career has it's own GUID so it will not overwrite any custom or Maxis careers. This career only has 3 levels, becuase that's what Teen/Elder careers consist of.This career is EP compatible. Its time to get down and dirty cleaning out whatever won?t flush away. You get the pipes from the factory and distribute them to the job sites of your work mates. You have taken your apprenticeship and are now learning the basics of the trade. custom icon created by me. Posted 31 March 2009 - 07:58 PM This is a career I made as a request from myhatty. It's the mad hatter career! She get's most of the credit because she wrote it for me. There is only one chace card which is at the very end (level 9). I hope y'all enjoy this! You just started your career as a hatter and rumour has it this job sends you crazy. I see you enjoy your hatter career who knows you might just stay sane. You're slipping in santiy a bit, come on we can stay sane here. Your'e a little insane starting to see things are you now? You have a very odd craving for tea for some strange reason. You have a odd craving for un matching funriture and a long table hmmm. Werid, you stared to wear a green jacket and checked trouses. A new fashion statement? Odd enough, you decied to live in a wood which leads into a cross roads. You started making up silly riddles, and seem to enjoy the company of hares. Wow you seem to be the insaneist crazyist madist hatter there is! Maybe you can give myhatty a run for her money! I've left the icon the same as slacker, because the little cup of coffee looks alot like a cup of hot tea which to me symbolizes mad hatter career perfectly, don't you just love it when things work out like that! With this career you can live the life of an in home health care provider. This career is EP compatible, and compatible with the base game. This career will not overwrite any custom or Maxis careers because it has it's own GUID. There are 8 chance cards completed in this career. This career is for adult sims. You are starting off your new career as a home healthcare provider by taking care of your elderly parents in their home. This involves cooking meals for them, doing all of their household chores, helping them get dressed, and just taking time to be with them, and make sure that all of their needs are met. Be sure to increase your cleaning, cooking, and charisma skills in order to suceed in this career. You are using all of your experince that you have gained from helping your own parents to now help someone else's parents. The person you are caring for has adult children with busy schedules, so they can not care for their parents themselves. You will be doing many of the same chores you did when caring for your own parents, but now with a freindly new elder face to greet! It's your job to work at the Home Health store. You will be making sure the shelves are stocked with plenty of bedpans, diet supplements, diabetic supplies, and more. It is also part of your job to bring the special recliners and wheelchairs to the showcase area everyday you work. You will be ringing up customers in a timely and orderly fashion, and as always curteous. Be sure to increase your social skills as well as charisma levels at home before coming to work every day. As a homebound teacher you must go from house to house and teach children who are not able to go to school yet because of illness. These children are homebound and need to be taught writing, reading, and arithmatic. They will go back to regular school one day, but for now, they need your guidance until they get back on their feet again. It's now your job to be a home nurse. You will be caring for you paitents in any way you can. From fixing them meals, to taking their blood pressure, to giving them baths, and even giving your diabetic paitents their daily shots of insulin. You must be sure to increase your cleaning skills in this crucial stage of your career. You've finally worked your way up in the home healthcare career, so that you no longer have to care for paitents in their homes. You are now working behind the scenes at the Home Healthcare Provider Home Office as a receptionist. You will be bringing the boss coffee, xeroxing papers, sending faxes, and setting up new services to the families of new clients. You are now in charge of everything from the ground up in the home healthcare industry. You have an entire company to keep satisfied, and you have to make sure that everyone in your company is curteous to their clients. You really want your home healthcare provider services to be the first one that comes to mind when people think of trusted services. Your services are one of the most trusted and widly used for providing excellent home health care for people who need it most. You have worked your way up from the bottom up, to become the leader in the home health industry. Everyone turns to you for advice on how to build their own home healthcare service, and you frequent the many home healthcare conventions in various parts of the world. Congratulations, you've made it to the top of your career! Seen above is the custom career icon made by me. This career is EP compatible, and is compatible with the base game. It will not overwrite any Maxis or custom careers because it has it's own GUID. There are 9 chance cards completed. This career is great for your sims who have high Fitness enthusiasm. I used to work in the fast food industry, and this career is based on my time there. When I worked there, I noticed that a lot of teens and elders worked there. Teens worked there to save up extra money for college, or for an extra income, and elders worked there because they had been working there for years, or because they wanted extra money after retirement, and to keep their lives busy. This career is EP compatible and is compatible with the base game. This career will not overwrite any custom or Maxis careers because it has it's own GUID. There are 3 chance cards completed ( teen/Elder careers have 3 levels, so it's chance cards for every level ). It's your job to drop fries into the deep fryer, and cook hamburgers, hot dogs, and chicken sandwiches on the grill. Speed is a must in this career, as well as cleanliness. You are a Front Counter Cashier. This involves making milkshakes, drinks, and ice cream cones, and of course taking orders and giving change. As a Drive Thru Order Filler, it's your job to fill orders that come through the drive thru window. Your experience as a Front Counter Cashier comes in handy in this part of your career because you will be preparing milkshakes, drinks, and ice cream cones as well. It's your job to get the orders from the grill and put them in bags, quickly so that the customers don't spend too much time waiting in their cars. Seen above is the custom icon created by me. This career details the life of a plantsim. Seasons is not required, but it is suggested as that is the expansion pack where plantsims come from. This career is EP ready, and will not overwrite any Maxis or custom made careers becuase it has it's own GUID. There are nine chance cards completed in this career. You are just a puny petunia. It's your job to go to the park and sunbathe. Be sure to keep up your sunlight, love, and water needs before going to work everyday. Be sure to keep up your body, mechanical, and cleaning skills as well in this career. You are a green thumb it's your job to water the puny petunias. Be sure to give the puny petunias much love and care, maybe one day they will return the favor. You are a Dainty Dandelion. This means you must go to the local nursery and tell stories to the saplings. Be sure to increase your nature enthusiasm in this crucial stage of your career. You are a Happy Harvester. You are in charge of tucking the Pumpkins into their patches for naps. Pumpkins need much love and plenty of care. Be sure to increase you're parenting skills, and keep up your cleaning, body, and mechanical skills as well! As a Wise Oak, you no longer need to care for young plantsims. It's now your job to visit the park and provide shade for the nematodes and salamanders.Be sure to keep up your body skills! As a Mighty Mulcher you must go to the park and help feed the vegetables there. Nature enthusiasm is a must. You must really focus on paying attention to detail as well. At this point in your career, you need to increase your logic skills. The life of a Regal Rose involves testing fragrances that will be used with flower hybrids. You must make sure the fragrances are pleasant. Be on your thorns, Mother Nature is watching you with a keen eye now more than ever! A Wonderful Waterer has the job of watering all the plantsims in Sim City. You should increase your nature enthusiasm as well as you're gardening skills to succeed. A Royal Redwood is the master of the plantsims in Riverblossom Hills. You oversee all the goings on in the plant kingdom in your neighborhood. You are second in command to Mother Nature. Male job description:You rule the plantsim kingdom with Mother Nature by your side. Together you make an excellent team. All the plantsims in the kingdom rejoices that they now have such wonderful magistrates! Female job description:You rule the plantsim kingdom as Mother Nature. You make an excellent Nature Queen. All the plantsims in the kingdom rejoices that they now have such a wonderful magistrate! Custom Icon made by me seen above. With this career you can experience what it's like to be a church lay person. This career has it's own GUID so it will not overwrite any Maxis or custom made careers.It should be EP ready and is compatible with the Base Game. This career has 9 chance cards to complete. It's your job to clean the church and church school. Make sure to give all of those dirty sinks a good sparkle, vacuum the floors, take out the trash, and make the church look beautiful. Your gift of helps really shines through in this job. It's your job to care for the infants in the nursery. The nursery is open not just on church days, so you will be working other days as well. Be sure you know how to change a diaper, and hold a baby correctly! It's now you job to care for the small children in the chruch day care.Be sure to study up on your parenting skills! It's your job to prepare meals for the children in the church school, as well as prepare all of the meals for the wednsday night dinner, and any dinner on the grounds sermons the pastor will be preaching. It's your job to teach physical education for the church school.Be sure to keep up your body points in this area of the career! It's your job to speak over the intercom in the morning all of the announcements, as well as intercom the classrooms requesting early dismisall for students. It's your job to do all of the paperwork for the church including writing the church bulliten for Sunday Morning and Wedsday Night services. It's your job to collect the offering, welcome guests at the door, and pray the benediction. It's your job to help the pastor in any way you can, you are on the board of Deacons. Be sure to keep reading your Bible and keep praying! You are on the board of Elders commitee. This means you will be filling in for the Pastor when he is away at other churches, or church conventions. This is the custom icon made by me. There are 9 chance cards to complete in this career. This career most resembles gospel music in the Pentecostal church, but can also be used for any denomination. You have joined the local church choir. You spend hours in choir practice singing all of your favorite gospel songs like "Blessed Assurance", "Amazing Grace, and "Rock of Ages". It's your job to sing the solos the Minister of Music picks out for you.You'll be singing some of the legendary gospel songs like: "Alabaster Box", "Just Be There", and "He'll Do It Again".Be sure not to miss choir practice! You are now in charge of picking the hymns that will be sung by the choir for the congregation on Sunday morning and Wedensday night. Be sure to keep up your creativty, logic, and charisma points! You have really enjoyed your time in the local church, but it's time for you to bring your ministry to more people. You are on the road now going from town to town and singing the gospel songs you have written in various churches around the country. You have made your first record. It's now your job to appear on local Christian radio stations around the country. You hope and pray that people feel free to worship God with your music ministry. It's your job to sing for the local televsion show "Gospel Hour" during their Praise-A-Thon. You are hitting the high notes, and belting it out, while giving glory to God. You will be on the road with several well - known evengelists like Benny Hinn, Marilyn Hickey, Crefflo Dollar, Joyce Meyer, T.D. Jakes, and Kenneth Copeland. You will be singing at their conventions. You finally were given the chance to have your own music videos for the Gospel Network. You enjoy working with the director of the videos and giving your creative advice. You are the lead singer of a gospel group. You have gathered some of your closest freinds from your days in church service to sing with you. Your music is what is being played in most of the churches in the country. Praise the Lord, your ministry is growing! You have finally won the most gracious award given to a gospel singer in the industry: the Dove Award.You thank the Lord for giving you the oppritunity to sing for Him in your acceptance speech. I'm so happy for myself creating my first career this career has no screenshots yet, but I'm working on making some. What is the career you ask? It is a "No Worry Job!" which was cloned from base game career. What Features This Job Has? I put this career update first , so here it is an updated version of my first career, enjoy. It is recommended you download this file as it has been updated and compatible with Apartment Life. This career is pretty much the same as the first one, but with some changes. Now the career is now named (No Worry V2.0), and in this updated version I changed the description, image, times, promotion, motives, the types of vehicles you now get chuffer around in and the chance cards, enjoy. This career was also updated to make sure it was compatible with Apartment Life. This is the final release of this career I will no longer update it. Please remember my policy on careers, to view the policy just go here. This should work on all versions of The Sims 2.